Wonderful photo. I love the character of this building. It is simple but very interesting…in it’s own way. The classics. A old but almost stately building under a blue Texas sky. Both lovely and both fine shots, alone or together. The wide sky is perfect! I like the little clouds hovering above this building. Cool olf building. 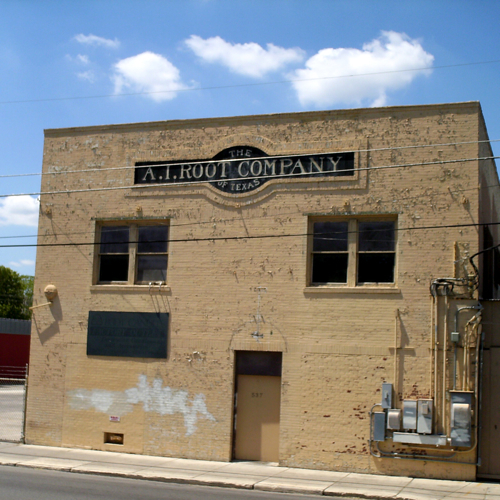 I wonder what the AL Root Company did or does. Root Candle Co., now, moved around the corner. I just hope the new landlord preserves the character of the building. I find that one building strangely comforting. An interesting building and a gorgeous sky.